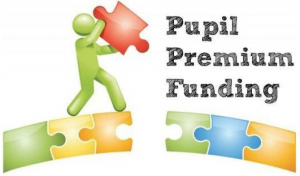 Pupil Premium funding is an allocation of additional funding provided to schools to support specific groups of children who are vulnerable to possible underachievement. This includes pupils who are entitled to free school meals, those looked after by the local authority, those children who have been in care and then adopted and the children of armed service personnel. 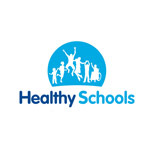 All schools are required to report on the amount of funding received and show details of how it is intended that the allocation will be spent. Schools are also required to report details of how the previous year’s grant was allocated. 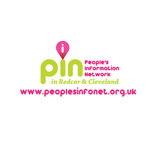 In the academic year 2018/2019 New Marske Primary School Primary School received £83 420 funding for pupil premium. To supplement teaching staff levels, continuing to reduce class sizes in reception, year one, year three, year four and year 5 so that disadvantaged pupils can access more time with a teacher. Contribution to the Lexia reading program to support the development reading across school and particularly with the pupil premium cohort. Continuation of the breakfast club across school in which all pupil premium pupil have free access, to address issues of poor attendance and lateness. To provide extra support staff for larger classes within school particularly years 5 and 6 (the two classes with the highest proportion of pupil premium pupils in school). To fund a pastoral support worker to analyse attendance and achievement data signposting parents to appropriate support services with a specific focus on disadvantaged pupils. To improve the quality of Read, Write Inc provision across the Early Years and KS1, as well as access to Fresh Start in years 5 and 6. To access support from a Read, Write, Inc consultant to ensure provision is accurate for all learning groups, with a particular focus on disadvantaged pupils. To provide access to specialist provision, when appropriate, to support teaching and learning for disadvantaged pupils: Education Psychologist, Counselling Programmes, specialist teaching Serivce, gifted and talented programmes. To resource the Tree Tops (fine and gross motor skills) programme within school. At New Marske Primary School, the use of Pupil Premium funding has had a positive impact on the performance of disadvantaged pupils. Based on the results from teacher assessment and national tests from July 2018, in most areas, our disadvantaged pupils perform well when compared against non disadvantaged pupils nationally. In the academic year 2017/2018 New Marske Primary School Primary School received £78 191 funding for pupil premium. In the academic year 2016/2017 New Marske Primary School Primary School received £66 200 funding for pupil premium. In the academic year 2015/2016 New Marske Primary School Primary School received £68 850 funding for pupil premium. During the year the pupil premium strategy is reviewed in a number of ways. At the end of every assessment period within school, pupil progress meetings are held between senior leaders and teachers to discuss the progress disadvantaged pupils make within class. This leads to termly provision maps to ensure that all pupils continue to make progress and school resources are used appropriately. An implementation review of the pupil premium strategy is carried out by the head teacher, SENCO and School Business Manager to review the progress of disadvantaged pupils and how resources are being used. The date for this review in the 2017/2018 academic year is the 6th March 2018. As part of the school’s pupil premium policy, the quality of pupil premium provision is assessed on two occasions during the year. The pupil premium strategy is reviewed by members of the Senior Leadership Team, School governors and other outside agencies. Establish how the pupil premium has been used to close the gap between those children eligible for free school meals, and those not eligible, and assess how the school measures whether this action has been effective. Establish if there is any sharing of good practice across school and clusters. Confirm that the information published by the school on how it has used its pupil premium funding corresponds with the data and information held at the school and confirm that this information is also shared with Governors. Establish the spending profile for pupil premium to assess whether any amounts being carried over at year end appears reasonable, and that there is a rationale for the monies not being expended in the current financial year. The School demonstrated that processes are in place to ensure that pupil premium is being used effectively to improve the attainment of those who qualify for the funding. 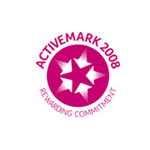 Regular scrutiny by the School and Governors enables the School to measure the effectiveness of initiatives funded by the premium, in order to ensure that initiatives achieve their expected outcomes in terms of raising the achievement of disadvantaged pupils. Pupil Premium data contained on the School website meets the requirements in terms of what schools are required to publish, and also corresponds with the data held on file by the School. 2 The progress being made by disadvantaged pupils is shared with Governors on a regular basis, allowing them to scrutinise the school’s approach to reducing the attainment gap between those who attract the pupil premium funding, and their non-PP peers. Evidence was also available to demonstrate that Governors had had the chance to query the information presented to them, thereby demonstrating sufficient challenge and scrutiny of the information being provided. 3 The school was subject to an Ofsted inspection in July 2016, and received positive feedback regarding their pupil premium provision. This audit report concurs with these findings, and appropriate evidence was provided to confirm that the funding is having a positive impact on the standards and attendance of pupils. As a school we are delighted that this positive report highlights the clear focus our staff and governors have on ensuring that pupil premium funding is being used effectively to increase the attainment of our pupil premium pupils. Although there were no recommendations from the audit, the school has robust practises in place to continue review the impact of this funding on our pupils. Is the pupil premium funding being used appropriately? What are the current gaps between pupil premium pupils and non pupil premium pupils. At present pupil premium funding is being used to reduce class sizes across school and to provide suitable support to pupils when needed. The end of Key Stage data indicates that the current pupil premium funding is being used effectively as the gaps between pupil premium pupils in school compared to non pupil premium pupils nationally are small, with only one area – the performance of pupil premium pupil in in the year 1 phonic check showing under performance. Since the Autumn term data was submitted by staff on the 15th of December 2017 there have been various activities to review the progress of pupil premium pupils. 19th of January 2018 the PD Day was used to hold one to one meetings with teachers to discuss the progress of pupils in class, including pupil premium pupils. After this activity teachers implemented actions plans to support these pupils. Our end of key stage data shows that in most areas, our pupil premium pupils perform broadly in line with our non pupil premium pupils. One area where a gap between disadvantaged pupil and non disadvantaged pupils widen compared to 2017/8 performance was in the area of mathematics. To address this area, two priorities have been placed as a priority as part of the school improvement plan. This will ensure a continual focus on the quality of mathematics teaching across the school, as well asa focus on the performance of pupils, including disadvantaged pupils, from their previous key stage.